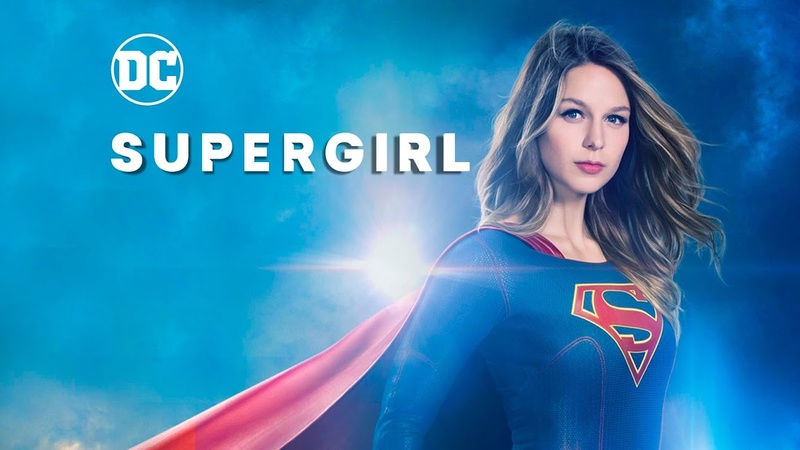 The following article covers in-depth plot points from the first and second season of the DC Comics and CW television show, Supergirl. I have no problem with Mon-El. I wanted to make that clear from the start, since I am about to spend the next few paragraphs discussing why I didn’t enjoy season two of Supergirl nearly as much as season one. Unfortunately, that lack of enjoyment was largely a result of the character, Mon-El. However, my dislike of the character was not a result of the character himself. Before we start dissecting Mon-El, let’s take a brief trip back through the first season of Supergirl. In the show’s inaugural season, we were introduced to Kara Zor-El, mysterious stranger from the planet Krypton. Of course, like her cousin, Kal-El, Kara is blessed with incredible powers after she lands on planet Earth. Unlike Kal-El, she’s never given the opportunity to become the superhero he is. While Kal-El takes on the identity of Clark Kent and saves the world as Superman, Kara goes on to work as an executive assistant at the media company, CatCo. From the first episode, Supergirl begins grappling with some of the themes that the show will deal with throughout its entire first season. Kara wants to use her powers for good, but using them puts her at risk, something her adoptive sister, Alex, finds hard to deal with. Kara’s struggle to find herself as Supergirl is mirrored in her civilian life as she tries to establish a solid career at CatCo. The show crafted an interesting narrative that included a diverse lineup of characters. Besides Alex herself, there was Cat Grant (owner of CatCo), James Olsen (media expert and love interest), and Hank Henshaw (leader of a secret government agency and secretly a Martian). Kara always had an interesting working relationship with Cat Grant. Importantly, despite often taking the time to showcase its additional characters, the first season of Supergirl never lost sight of the fact that this was a show about Kara. Many of her discussions with Cat Grant focused on the importance of Kara creating a life for herself and pursuing her dreams. At the same time, Kara was engaging in regular training and development to become a more effective fighter as Supergirl. The importance of Kara’s development seems to have been lost by season two, however. In season two, Mon-El, yet another stranger from another planet, took center stage. Although his journey was different, Mon-El’s story took some of the same steps that Kara’s did in the first season. He struggled to find a place in the civilian world and regularly trained to become more effective as a fighter. The difference between him and Kara was that Mon-El underwent the combat training to please her, while Kara’s commitment was to greater values and the safety of humanity. That difference between Kara and Mon-El was one of the driving plot points of the second season, but was also badly mismanaged. At its heart, Kara and her dedication to the values behind the shield on her chest were what drove me to tune in. Her growth, her journey, is the entire reason for Supergirl to exist as a television show. Yet an incredible amount of time was committed, not to Kara, but to Mon-El and, to a lesser extent, the other men surrounding Kara. The working relationship and love life of Supergirl and Mon-El could have been handled better. I said I was going to spend a lot of time discussing how Mon-El made the second season a poorer affair, but the show’s focus on the men around Kara is really the sticking point here. Mon-El was just the biggest example of the problem. In season two, Kara’s private struggles revolved around dealing with her shift in career, her private foray into citizen journalism, and learning to accept her sister Alex’s new and intense romantic life. While great topics, these were explored to only a shallow degree when compared to the incredible amount of time given to Mon-El. The problem was not that Mon-El began as a stereotypical frat boy jerk with selfish impulses. If that were the case, I wouldn’t consider the show Fringe to be among my favorites. In that show, another lead character, Peter Bishop, went from self-obsessed jerk to beloved hero and romantic lead. Mon-El’s path was a fine one to follow, but that journey was at the heart of the second season rather than Kara’s journey. Instead of exploring Kara’s development as a result of Mon-El’s presence, the show often became centered on Mon-El’s development. That development was paralleled by multiple instances of Kara having to compete to be the center of the action on her own show. I appreciated Jimmy’s transition to Guardian (a personal favorite hero of mine), but it was once again an instance of the show placing the focus on a man in Kara’s life rather than on Kara herself. The presence of Superman in the first few episodes, while well intended, was yet another example of Supergirl having to compete for time on her own series. Supergirl and Superman are great together, but I’m tuning in for her. The problem created was that Kara’s journey became less important as the show focused on the men around her. Her reporting career may have well been nonexistent at many points in the second season. Worse, when trying to demonstrate Kara’s power and strength, it always had to be contextualized next to Superman. The season finale exemplified this perfectly, as Superman essentially states outright that Kara beat him fair and square. Season two became less about Kara and more about the men she was surrounded by. This also happened to the character of Lena Luthor, friend of Supergirl and heir to the Luthor name. Lena was constantly written and contextualized by how she compared to Lex. It was as if, sometime between the first and second season, the writers of the show decided they had to refocus the show on the men around these women. Which, don’t get me wrong, there are some great male characters on the show. Superman’s great, my favorite hero of all time. Jimmy’s got a smile like a sunbeam and has wonderful chemistry with Kara. Mon-El did grow on me as he grew up, and the final shot of him, in the season two finale, was genuinely moving. But this show is called Supergirl, and that’s who I’m tuning in for. I want to see her grow and succeed. She’s only been a superhero for a brief time. There’s still a long journey ahead of her. I want the writers to continue introducing new characters and male counterparts, but let’s not forget that this is about Kara’s journey. I want to see her experiences and explore her thoughts and feelings, because she represents much of what’s great about humanity. When they do introduce male leads, let’s explore those characters, but do so from Kara’s experience. Always center the journey on her, because that’s who we’re here for. And stop validating her by how she compares to other men, even Superman. Supergirl is powerful enough to stand on her own. While I agree with most of this, and a one of my problems with Mon-El centers around him taking over the season, I don’t agree with the implication that James’ Guardian storyline is in any way equal to what happened with Mon-El. James got about 30 seconds of screentime in the episodes he was in and Mehcad Brooks apparently had to fight to get that one episode where the Guardian storyline took center stage and even in that episode, Kara has her own entirely separate storyline that actually pertains to the main plotline of the show whereas James’ storyline is more of a B storyline that has no affect on anyone’s story whatsoever except his own. Kara never once competes with James for screentime this season. I had problems with the Guardian storyline, but it had more to do with what James deserved as a character and how ooc it was for him to become Guardian, not with him taking time away from Kara. In fact, the way the Guardian storyline could have allowed Kara not to “compete” with him for screentime is to actually allow Kara to interact with Guardian more and have a storyline with him as opposed to having James and Winn work completely on their own. In season 1, James and Winn very seldom had storylines that were completely separate to Kara’s and when they did, they were usually helping her out in her own storyline in some small way or she would acknowledge their storyline somehow. I think the reason it feels like Kara is competing for screentime is because they separated everyone’s storylines this season. Alex and Maggie’s story very rarely includes anyone else. Kara and Mon-El NEVER includes anyone else unless they just happen to be in the same scene during a DEO sequence. James and Winn are separate. Winn and Lyra are separate (mostly). J’onn and M’gann are separate. They so rarely interact with each other and let the storylines overlap that it feels like Kara’s story by HERSELF gets lost in the mayhem because she could be included more in the other people’s stories, but she doesn’t. Her biggest story is her relationship with Mon-El. She doesn’t have friends anymore and she barely has a sister. The episodes that feature Kara best are the ones that are Lena-centric. Kara is allowed a friend in Lena and Lena’s episodes almost always allow Kara to explore her reporter roots (look at 2×15 and 2×18 for proof). And Kara is Kara with Lena, not Supergirl the way she is with literally everyone else. But she can be Supergirl with Lena, too, so she gets the best of both worlds in these episodes: she is allowed to be super heroic and still herself. If Lena and Kara’s biggest problem this season is that they are surrounded by men and their stories revolve around their comparisons to the men in their lives, then their salvation is each other. When they get together, Kara doesn’t compare Lena to Lex and, since Lena doesn’t know Kara is Supergirl she doesn’t compare Kara to Superman or James or anyone else. Kara is her hero. And people wonder why Supercorp is such a major ship.